Your driver’s license: Simply for being charged with DWI in California, the Department of Motor Vehicles can suspend your license. Others may no longer trust or allow you to drive. Your job and career: After a conviction for DUI, you won’t be able to work as a driver or at any job that requires driving. Even for other jobs, employers who discover a DWI conviction in your background may determine that a job you’ve applied for should go to someone else. Your insurance rates: Your auto insurance premiums will go up in response to a conviction for DUI. Your emotions: Some DWI offenders suffer shame and guilt. Others feel resentment. You may be avoided or stigmatized by others. 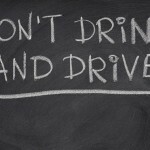 Even more: A conviction for DWI will impact your life in ways that you probably never considered. You may lose your voting privilege, for example, or your right to travel to certain nations. Only over time do all the ramifications of a DUI conviction emerge. 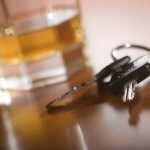 The penalties for a DWI conviction are always more than legal. Don’t put yourself, your job, and your freedom at risk. Don’t drink and drive. An experienced Orange County DWI lawyer may be able to have your charge reduced or dismissed in some cases, but if your case goes to trial, your attorney can fight aggressively for your acquittal. If you face a DWI charge in Orange County, now or in the future, get the help you need and call an experienced Orange County DWI lawyer immediately.